Just in time to add a bit of extra scare to your Halloween, developer Red Barrels have released their first trailer for upcoming survival horror title Outlast. The game is set in the Mount Massive Insane Asylum, recently re-opened by a shadowy organisation. The trailer comes from footage sent by an investigative reporter showing the typical scenes of horror and devastation… SWAT teams wiped out, blood caked walls, wheelchairs tipped over with a wheel still spinning. Soon it becomes apparent that something is stalking the hallways, and it’s not long before the journalist is running for his life as he is chased by some hideously disfigured inmates. It is hinted in the press release that the character you will play is that of the protagonist in the video, Miles Upshur. Miles is following a story from an anonymous source regarding the strange goings on and soon stumbles upon the results of a terrifying experiment. 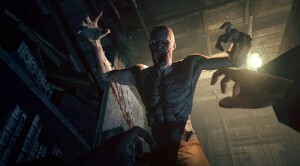 The trailer is rendered using the in-game engine, and shows some possible gameplay mechanics which seem to lean heavily on the running and hiding elements that became a huge hit in the Amnesia: The Dark Descent game. Otherwise the trailer is very much filled with the usual horror hokum that has been done many times before in both cinema and games. Although the game does boasts some significant talent from ex-Naughty Dog and Ubisoft talent that have worked on the Splinter Cell, Prince of Persia and Assassin’s Creed franchises between them. Outlast is due out in 2013 on PC and will be available via Steam.